What does a year of living with a device reveal that initial reviews missed upon its release? 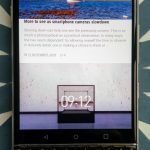 This is partly a journal of my notes since adopting the KEYone in 2017 and partly a riff on transferable experience design nuances which might guide future smartphones. 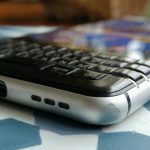 BlackBerry’s KEY range is one of the only remaining mainstream phones with a physical keyboard. As such, it fills a small but significant niche as a tool for a particular type of creator. Furthermore, the unique tactile experience whereby the keyboard doubles as touchpad for scrolling and other gestures is an interaction method which may hold important clues for other types of digital products. I’d love to hear your feedback as this post grows. Please add your thoughts as comments below. In more than a year of using a Blackberry KEYone as my main device it has never run out of battery. I charge each night while I’m sleeping and, if I’m driving, I plug it in to the car charger – mainly because I’ve set Android Auto to keep the screen active while I’m behind the wheel. Every user will have a different set of real world conditions but for my circumstances the KEYone has all but eliminated battery anxiety. The efficient combination of the Qualcomm Snapdragon 625 processor and a comparatively small, 4.5 inch 1080p screen. This draws less power than most flagships with their faster 8xx series chips and larger, higher resolution displays. The 3505 mAh battery is a relatively high capacity, particularly given the smaller screen size. The inclusion of QuickCharge 3.0 means re-charging happens fast when you need it: BlackBerry estimates 50% in 36 minutes. I’ve found this varies depending on the particular charger and how much battery power was remaining when I plugged in, but in practice it does what it’s supposed to: top up enough to get you through. As a result, I do more with my BlackBerry KEYone than with other devices. I don’t hesitate to play podcasts through the loudspeaker for extended periods of time during the day because I know I’ll still have enough charge left to make it through to bed time. If I’m out on an adventure over land or sea, I’m happy to let location apps run non-stop in the background, often recording a GPS track for most of the day. On holiday, when I’m trying to minimise my smartphone use, it means I often don’t need my charger at all because I know the phone will continue working for two or three days of occasional photos, checking messages in the morning and a few glances at Google Maps. On days when I’m travelling for work, I might spend 4 hours using the KEYone as a hotspot for my laptop on the train. With most phones, I’d take the precaution of plugging in to an external power pack or looking for a seat with a plug socket. However, I know from repeated experience with the KEYone that I can still make it through a full day day of meetings and back home with room to spare. 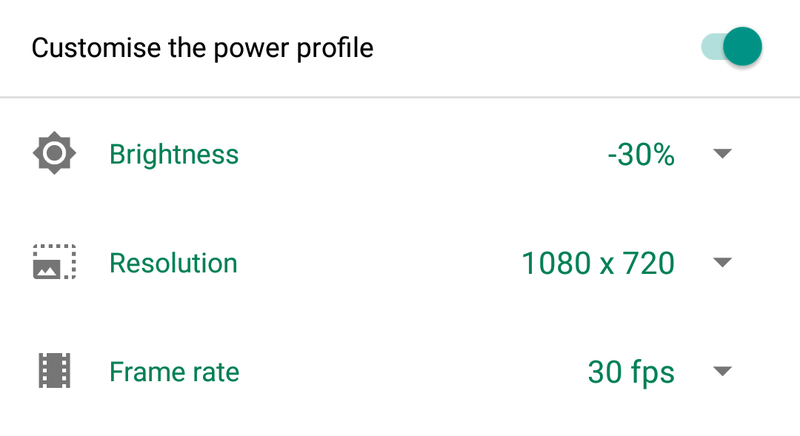 As a result, I’ve spent relatively little time experimenting with BlackBerry’s Power Centre, which allows app-by-app customisation of screen brightness, resolution and frame rate. For instance, if you spend a lot of time browsing social media, you can set a particular app to a lower average brightness and to use 720p rather than the full 1080p, thereby saving battery power. It is a feature I’m sure a subset of advanced users will appreciate, but you’d have to be an especially heavy Tweeter or Instagramer to need it. 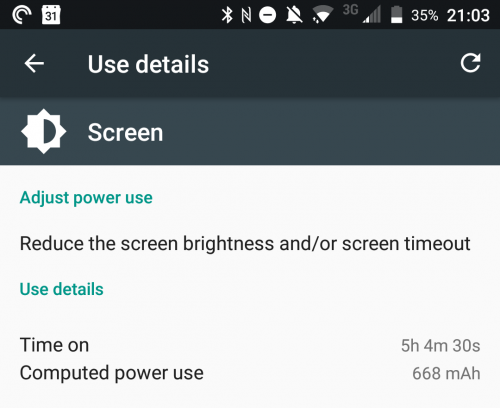 Battery life is notoriously difficult to evaluate. It can vary from person-to-person even with the same device. 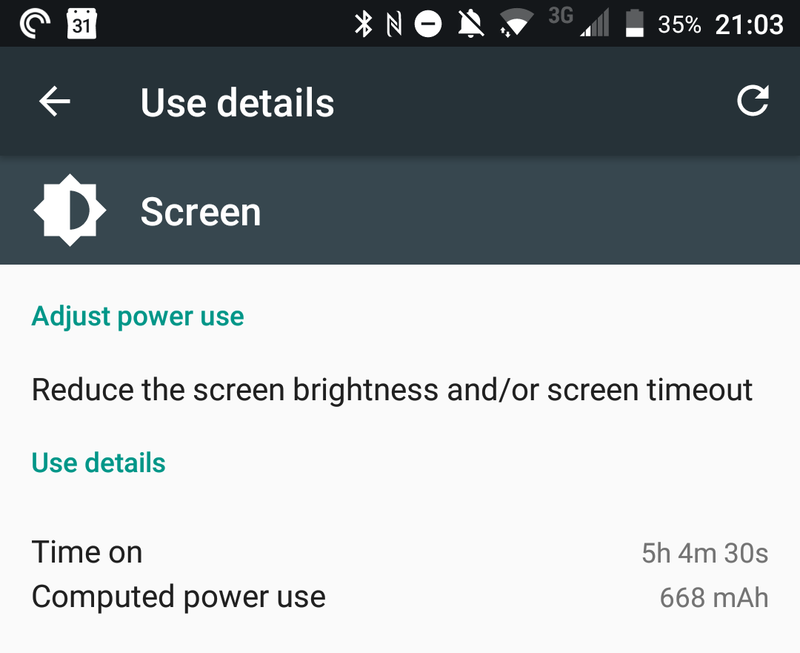 It also changes over time as the battery itself degrades and the phone becomes cluttered with apps that have a cumulative drain on power. However, after more than 12 months of real world usage and comparison with other devices, I would feel confident recommending the stamina of the BlackBerry KEYone as one of its standout features. 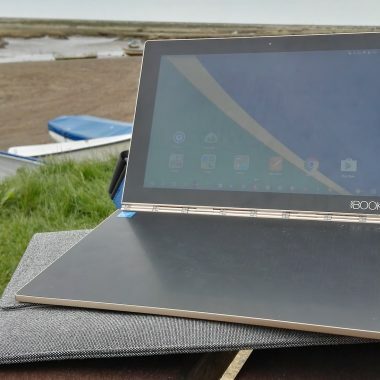 Long-term review: Lenovo’s Yoga Book, a flexible enough tool for creators?